﻿ Medical Transcription Company, Transcription Outsourcing Services Toronto Canada – Evoluz Inc.
Our medical transcription service includes converting voice-recorded reports in various audio formats (digital, analogues etc) dictated by physicians and/or other healthcare professionals into transcripts or text format. We offer a complete package of medical transcription service. We take care of your end-to-end medical transcription needs while you concentrate on your business and focus on providing healthcare. We adapt ourselves to fit your medical transcription requirement in terms of turnaround time, client specifications, special delivery arrangement, etc. If you wish to dictate many files on a weekend due to busy schedule; no problem, we will take care of it on priority and process the transcript. Whatever your requirement is, whether it’s day-to-day dictation needs, a few dictations or if you wish to clear a backlog, our medical transcription team at Evoluz will be glad to help. What We Do? You name it, we do it! Evoluz offers medical transcription services on 24/7 basis. That’s right, our services are available 7 days a week. 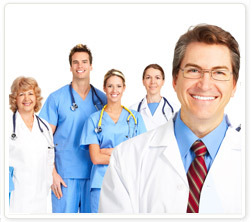 We cater to almost all specialty areas in medical health profession. We have professionally trained, experienced, and dedicated medical transcription team for each specialty. Don’t take our word for it, TRY US OUT TODAY! !